Scientists from Portsmouth University and the Diamond Light Source are part of an international team that has engineered an enzyme with the potential to digest certain plastics. The discovery could lead to a recycling solution for the millions of tonnes of plastic bottles made of polyethylene terephthalate (PET), which will persist for hundreds of years in the environment. The research was led by teams at the Portsmouth University and the US Department of Energy’s National Renewable Energy Laboratory (NREL) and is published in Proceedings of the National Academy of Sciences (PNAS). 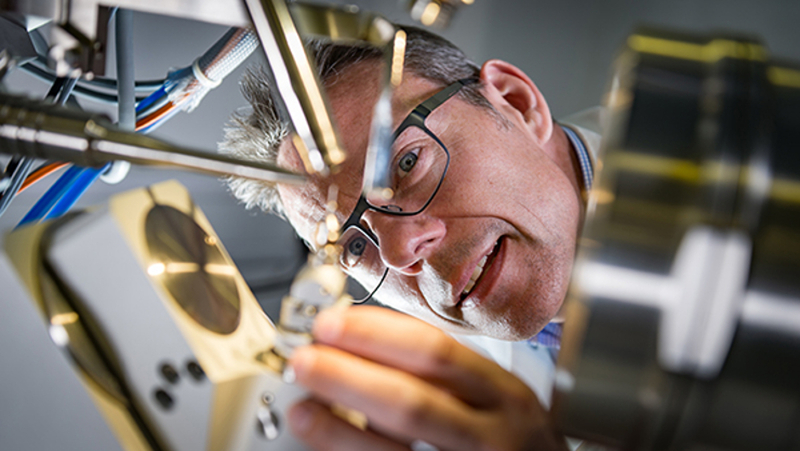 Portsmouth University’s Prof John McGeehan and Dr Gregg Beckham at NREL solved the crystal structure of PETase – an enzyme that digests PET- and used this 3D information to understand how it works. During this study, they unintentionally engineered an enzyme that is even better at degrading the plastic than the one that has already evolved. The researchers are now working on improving the enzyme so that it can be used industrially to break down plastics in a fraction of the time. PET was patented as a plastic in the 1940s, so the team set out to determine how the enzyme evolved and if it might be possible to improve it. The goal was to determine its structure, but they ended up engineering an enzyme which was even better at breaking down PET plastics. 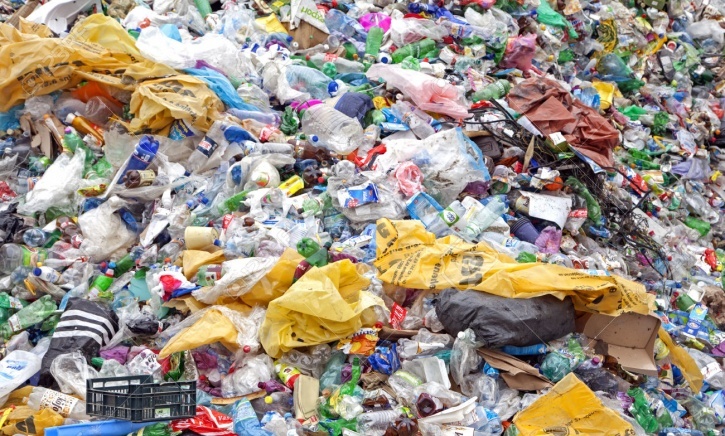 “Although the improvement is modest, this unanticipated discovery suggests that there is room to further improve these enzymes, moving us closer to a recycling solution for the ever-growing mountain of discarded plastics,” said Prof McGeehan. 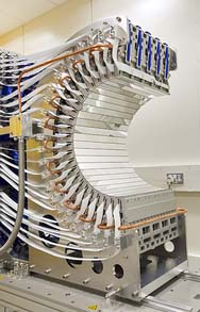 Portsmouth University and NREL collaborated with scientists at the Diamond Light Source. Using beamline I23, an ultra-high-resolution 3D model of the PETase enzyme was generated. With help from the computational modelling scientists at the University of South Florida and Brazil’s University of Campinas, the team discovered that PETase looks very similar to a cutinase (an enzyme it had likely evolved from), but it has some unusual features including a more open active site cleft that is able to accommodate man-made rather than natural polymers. These differences indicated that PETase may have evolved in a PET-containing environment to enable the enzyme to degrade PET. To test that hypothesis, the researchers mutated the PETase active site to make it more like a cutinase. The researchers found that the PETase mutant was better than the natural PETase in degrading PET. The enzyme can also degrade polyethylene furandicarboxylate (PEF), a bio-based substitute for PET plastics that is being hailed as a replacement for glass beer bottles. Wax moth larvae consume plastic. For the beekeepers out there put a frame with wax moth infestation in a plastic bag and watch what happens. Anybody else remember the 1970’s BBC TV series Doomwatch? In one episode a genetically engieered bug designed to digest plastic escaped and went on to digest the insulation on aircraft wiring causing a plane crash. I hope they take better care of this new enzyme, though as it seems to be specific to PET I suppose that if it does escape it will just mean our clothes will fall to bits while our bottled drinks won’t make it home from the supermarket.